Fans of Jason Aldean, get ready to make some noise! The country superstar is taking to the stage at the Hollywood Casino Ampitheatre on Friday 18th May 2018!! With special support from Luke Combs and Lauren Alaina, get ready for a night of proper country music that you’ll never forget!! No booking fees apply for any tickets bought directly from this website – go ahead and grab yours now while you still can! With a history of multi-platinum selling records behind him and huge stadium tours around the world, there’s perhaps no bigger name in country than Jason Aldean. His latest album, scheduled for release in 2018, is called “Rearview Town,” and features a musically diverse tracklist. 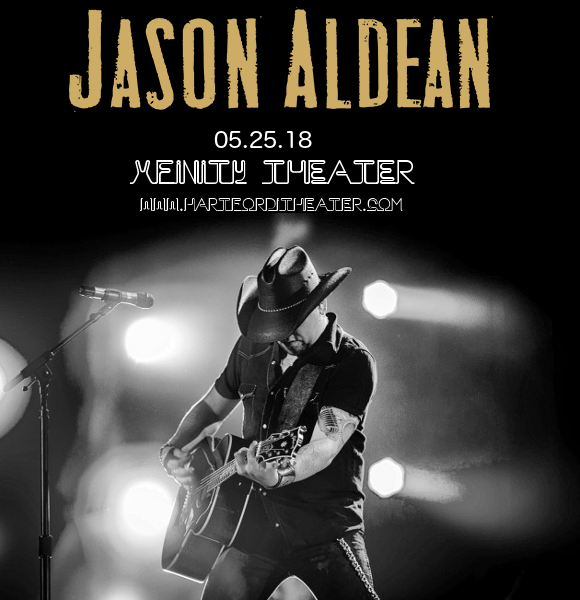 Get ready to hear it all live – grab your Jason Aldean tickets NOW while they last! !